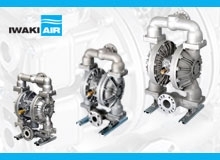 Iwaki Air’s TC-X 401/501/801 series high-quality, precision-engineered AODD pumps are available in both Metallic and Non-Metallic wetted materials with multiple elastomer configurations to meet any and all chemical transfer applications. 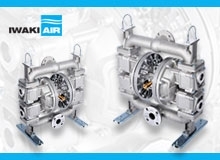 Iwaki Air recently introduced their new TC-X500 Series Metallic Flap Valve Pumps. These highly-engineered 2” Aluminum Flap Valve Pumps are specifically designed for challenging & demanding fluid transfer applications. 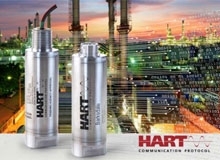 Barksdale announces the release of its first digital pressure transmitter family with HART® communication protocol: Series BiT. 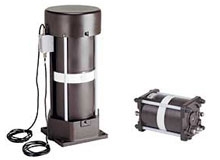 The new BiT has two product series: Series 450X, with explosion proof rated enclosure, and Series 450, which is designed for high pressure test & measurement and general industrial applications. 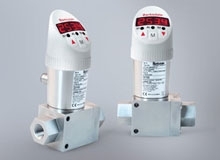 Barksdale announces the release of BDS3000, an electronic differential pressure switch with a 4-digit display. The BDS3000 expands Barksdale’s Generation 3000 Series of electronic products that include temperature, level, and pressure sensor technology. 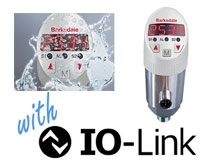 Barksdale announces the first release of the Generation 3000 Series with IO-Link digital communication protocol: the BPS3000, an electronic dual pressure switch with a 4-digit display is now equipped with IO-Link protocol. High purity metering pumps are provided for on-tool chemical generation and chemical concentration management. 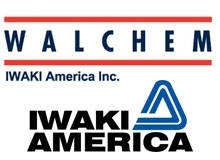 As the leader in surface preparation recirculation pumps, Iwaki's high purity pumps are the choice for CMP, etch/strip, and copper solution handling. PGI answered customer requests for a lower stem handleturning torque by introducing their new Low-Torque™ Grafoil® bonnet and packing design. 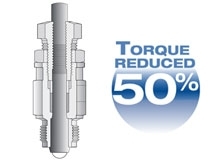 Grafoil® Stem Seal Torque Reduced 50%. 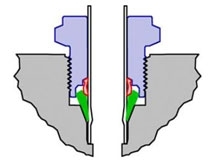 Parker Autoclave Engineers have taken a variety of in-house technologies and created a patent-pending simple to make connection using easy-to use tools that is as safe as a Cone & Thread connection without any of the vibration sensitivity. 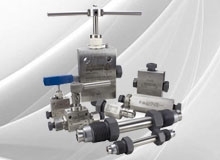 Securing leak-free connection of impulse lines to manifolds for applications that use differential pressure flowmeters is a subject that has taxed instrumentation engineers for more than a century. Back in 1910, when the very first orifice plate installations made an appearance, they involved 33 connections and 16 lengths of tubing! Click on the read more button below to learn about Walchem's W900 Spare Display and Controller Board Changes, New WEL Housings with 4-20 mA Output, 3/8" TC Injection Valve Change, plus more.